Yes, it's time to begin! The first Kennebec Valley Bicycle Club ride of the season is this Saturday. Hopefully we've seen the last of the Winter's snows, the days will get longer, temperatures will be closer to normal, and everything will start turning green again. Let's Wake up the Earth! Hope to see all of you in Manchester at the start! "Wake up the Earth Ride" - a posted roads tour from Manchester to Wings Mills. START: 10:00 AM, at the Manchester Elementary School parking lot on Rt. 17, near the junction of Rt. 17 & Rt. 202. The school is on the left next to the fire station just after you turn off Rt. 202 onto Rt. 17 West. TERRAIN: moderate, with one long hill. HIGHLIGHTS: Hopefully some dry pavement, and hold the pot-holes! We'll ride some paved (albeit sandy) back roads along some streams in and out of Wings Mills, take in some pre-foliage hilltop views, and celebrate the 40th anniversary of Earth Day (on Thursday this year) and the coming of Spring. 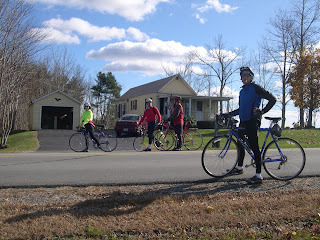 Welcome to POSTED ROADS, the Weblog of the Kennebec Valley Bicycle Club (KVBC). 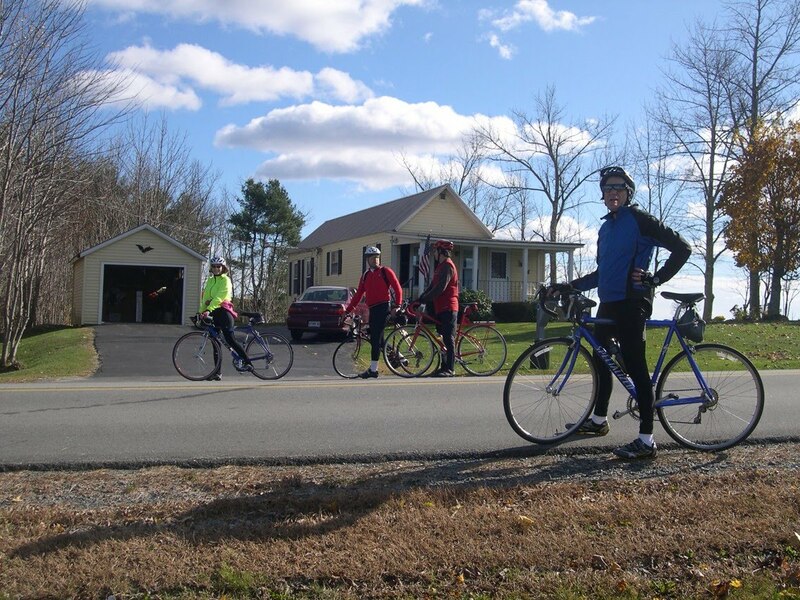 The Kennebec Valley Bicycle Club (KVBC) sponsors recreational road rides in the Central Maine area. The KVBC welcomes all cyclists to join in our rides along the many scenic back roads and lakes, rivers, and forests that grace our neck of the woods. Many of our rural roads are "posted" in late winter to limit access to heavy motor vehicles which damage roads during the seasonal freeze-thaw cycle. POSTED ROADS are harbingers of spring and months of fine cycling ahead. For club cycling news keep an eye on our weblog, POSTED ROADS, where we will post information on the roads we will travel on upcoming rides, as well as other features of interest to our members. We hope you will join us on POSTED ROADS!